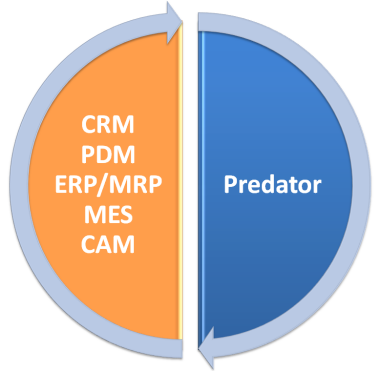 Integrations between Predator and ERP, MRP, MES, CAD, CAM and other 3rd party applications facilitate data sharing and eliminates redundant typing and incorrect data. Typically jobs, parts, operations, personnel, departments, customers, vendors and other details are shared. How to start a successful integration? Start with defining the integration and understand the business requirements.